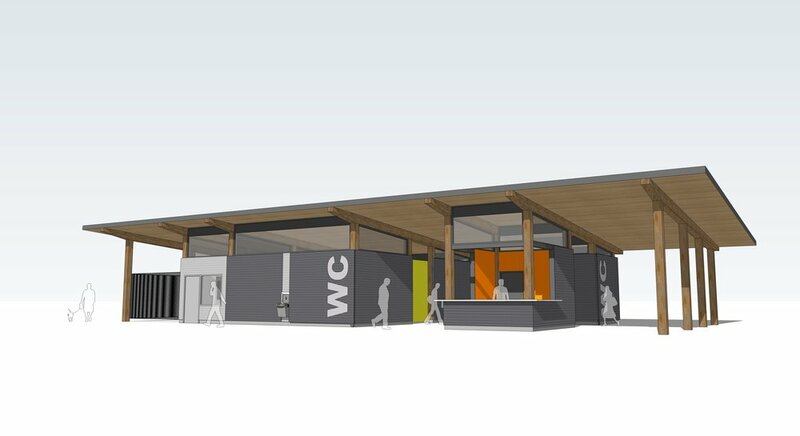 The proposed design for the new Southwest Sports Complex Field House in Brantford, Ontario intends to create an inviting pavilion-like atmosphere that not only provides washroom and concession facilities but also defines a sense of space and shelter for gathering crowds. The structure primarily utilizes Glulam columns and beams to support a sloped CLT (Cross Laminated Timber) roof canopy with an exposed wood soffit and green roof. The design establishes a datum line for all wall heights to accommodate large clerestory windows that allow light to pass through the building, providing a well-lit lofty interior. 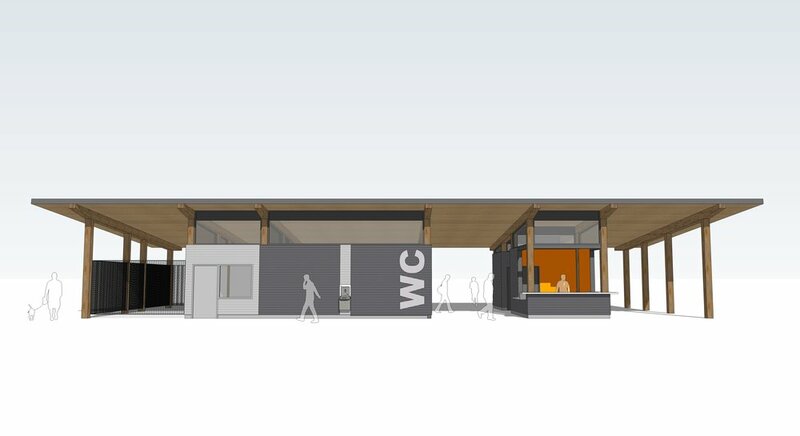 In addition to washroom facilities and a concession area, the building also contains a general use room for staff and a covered equipment storage area.